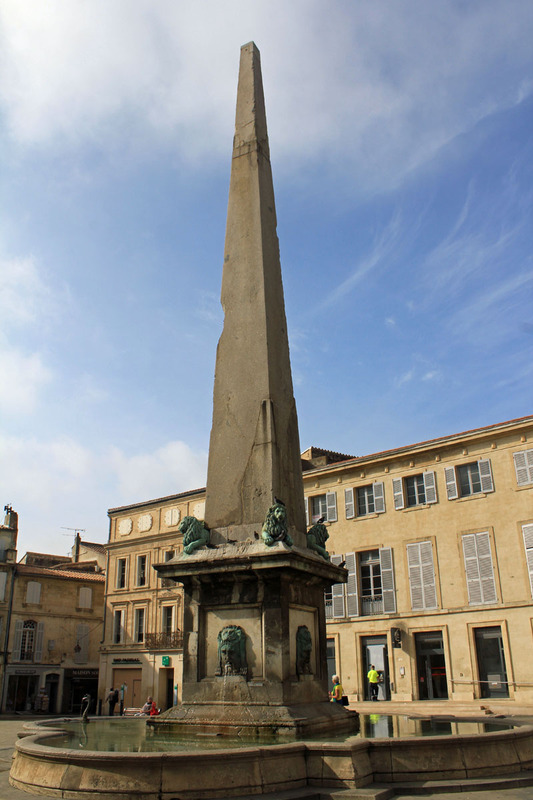 The obelisk of Arles. The red granite which it is constituted lets suppose an origin from Asia Minor. The obelisk is erected under the emperor Constantine the Great, in the IVth century. Collapsed in the VIth century, the obelisk and erected again in 1676.